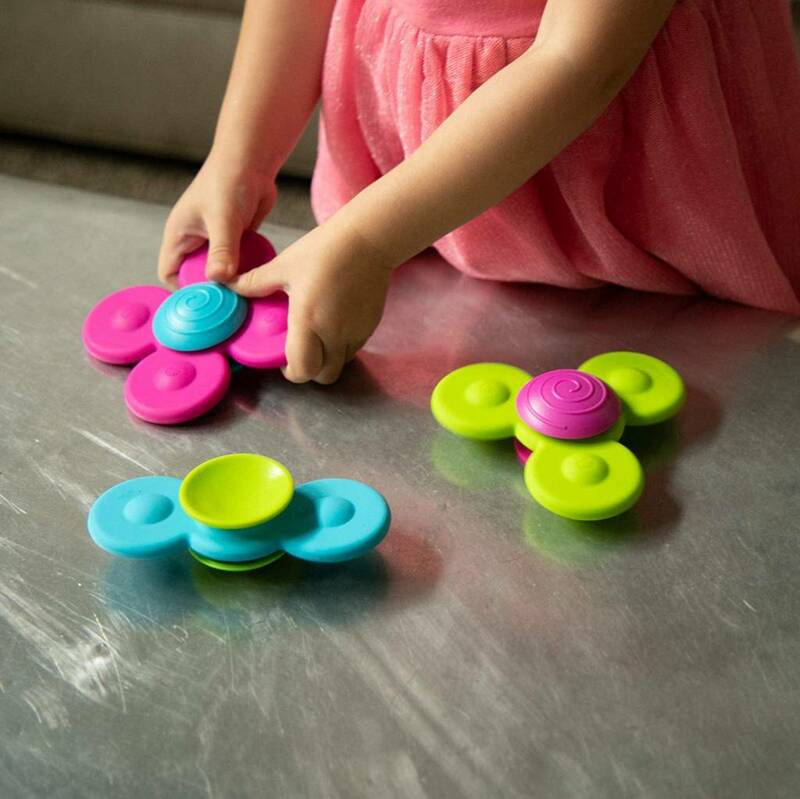 Send your little explorer twirling and whirling into delightful sensory adventure! 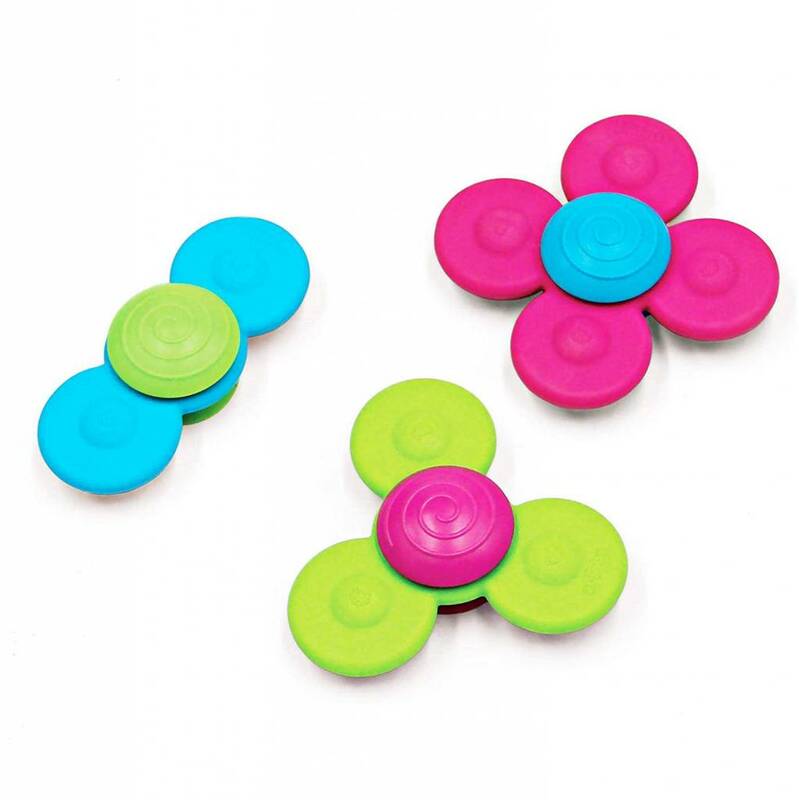 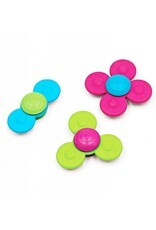 Stick these three colorful silicone spinners to any smooth, flat, non-porous surface, give them a spin, and … WHOOSH! 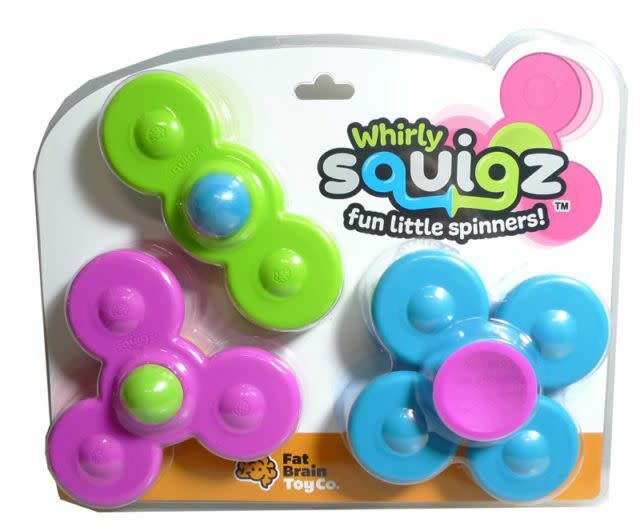 Around and around they go, faster than the eye can see. 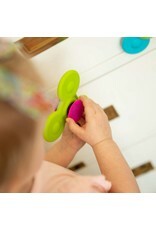 Hold them, explore their unique contours, chomp on them and let them soothe sore gums. 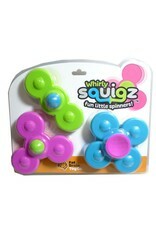 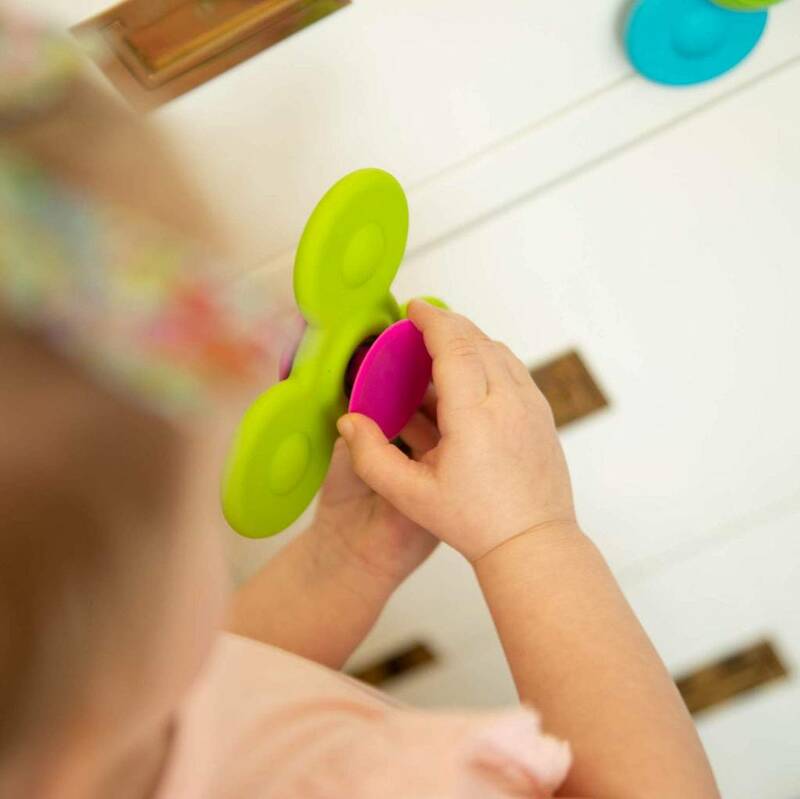 Each Whirly Squigz is made of 100% high quality silicone that's colorful, pleasant to touch, and safe for teething. 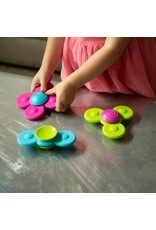 Great bathtub, tabletop or window fun!